When Elizabeth, the daughter of Governor Swann is kidnapped by a group of pirates led by Captain Barbossa and taken aboard their ship, The Black Pearl, Will Turner, sets out to rescue her. But he can't do it alone, so he enlists the help of swashbuckling ship captain Jack Sparrow. Together the two chase after The Black Pearl, but they soon discover that the captain and crew aren't your average pirates. Cursed to remain between the living and the dead, Barbossa and his men look like skeletons in the moonlight. When it is revealed that the only thing that can break the curse is Elizabeth's blood, Jack and Will are faced with a race against time and a battle against the undead to save the Governor's daughter. 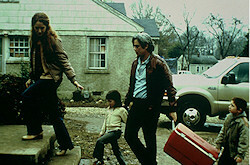 A heartwarming drama about an Irish family starting life anew in early-1980s America. With their two daughters in tow, Johnny and Sarah leave Ireland and head to New York so that Johnny can pursue an acting career. What follows is a series of adventures, both comical and terrifying, as they struggle to make the most of their new life. Suffering a heart attack and falling into a coma after seeing her son arrested during a protest, Alex's socialist mother, Christiane, remains comatose through the fall of the Berlin wall and the German Democratic Republic. Knowing that the slightest shock could prove fatal upon his mother's awakening, Alex strives to keep the fall of the GDR a secret for as long as possible. Keeping their apartment firmly rooted in the past, Alex's scheme works for a while, but it's not long before his mother is feeling better and ready to get out and about again. A freak accident brings together a critically ill mathematician, a grieving mother and a born-again ex-con. Set in an unnamed U.S. urban center, the film pieces together the intertwined lives of three very different people. In 1985, two adventurous young mountaineers, Joe Simpson and Simon Yates, set off to climb the treacherous west face of the Siula Grande in the Peruvian Andes. Based on Simpson's book, the film uses contemporary interviews with the two men, and a reenactment of their climb and descent, to describe the harrowing events that ensued. In New Jersey, Finbar McBride is a four-foot-tall lonely man who chooses to live the life of a hermit in an abandoned train yard following the death of his friend. While he is there, he unexpectedly meets and befriends a couple of fellow loners. Troubled Olivia is an artist devastated by the loss of her son and separation from her husband, while carefree and friendly Joe runs a hot dog stand. 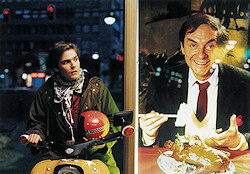 The three unlikely friends each deal with their urge to connect compared with their individual need for isolation. 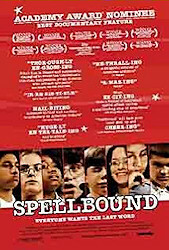 Spellbound follows eight teenagers on their quest to win the 1999 National Spelling Bee. The youngsters vie for one of the most hotly contested academic awards in the United States in this documentary. Every spring, the Scripps Howard National Spelling Bee attracts students from all over the United States, in the hope of claiming the national championship and a 10,000-dollar prize.